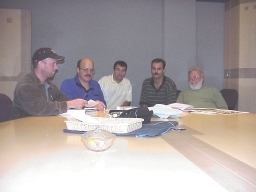 Meeting at RWDI's office (Guelph, ON) to discuss how to proceed with the car's design and testing. The car had been designed with 4 wheels, however, a change in the design to 3 wheels is under consideration. A 4 wheel design is more stable but heavier than a 3 wheel design. A 3 wheel design may have more air drag than a 4 wheel design. A model will be built to accommodate changes to the number of wheels, front nose and the canopy to find the most aerodynamically efficient design. 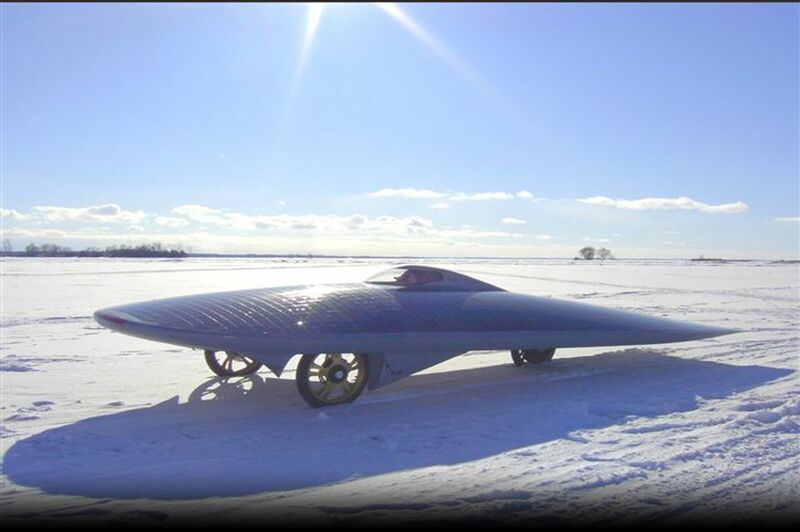 It is important to have a design with minimum drag since most of the energy is used to overcome wind resistance. A preliminary computer analysis of the present design will be tested first. Dean McLanders, Steve Reddick, Marcelo da Luz, Shawn Walker, Doug Sillery and Jack Netzke (not in the picture).